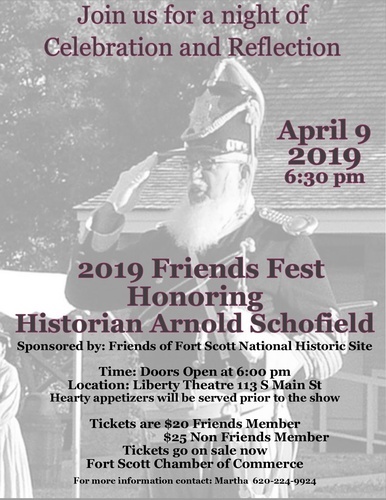 Friends of Fort Scott National Historic Site "2019 Friends Fest" honoring historian Arnold Schofield. Tuesday, April 9th. Doors open at 6pm, show starts at 6:30pm. Hearty appetizers will be served prior to the show. Tickets are $20 for Friends members, $25 for non-Friends members. 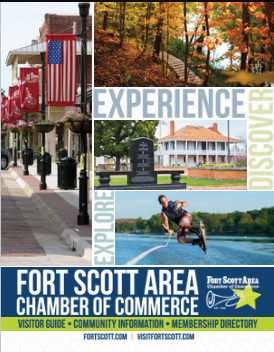 Tickets are on sale now at the Chamber of Commerce, 231 E. Wall St.